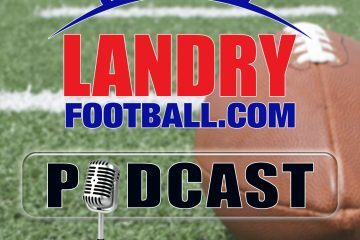 On the latest edition of the only digital radio show devoted exclusively to Underdogs in college football and the NFL, host T.J. Rives and Kevin Rogers, Sr. Handicapper of VegasInsider.com, are back. Fresh off T.J.’s cover with the Hogs in the SEC and Kevin getting the Browns outright win over the Falcons Sunday, the boys are looking for more. Who goes with Iowa State in the Big XII and who goes against Notre Dame in the huge showdown with Syracuse in NYC? Speaking of that match-up, one of the great ‘Cuse players of all time, former Heisman runner up QB Don McPherson, comes on the show to talk about the Orange’s 8-2 start, the chance to knock off the unbeaten Irish, and what this game should be like at Yankee Stadium? Then, the guys are back to talk NFL pooches. Who likes the Broncos and who says “How bout them Cowboys? !” It’s all part of this edition of 3 Dog Thursday!